A Hidden Markov Model (HMM) is a temporal statistical model which is widely utilized for various applications such as gene prediction, speech recognition and localization prediction. HMM represents the state of the process in a discrete variable, where the values are the possible observations of the world. For the purpose of process mining for resource allocation, HMM can be applied to discover a probabilistic workflow model from activities and identify the observations based on the resources utilized by each activity. 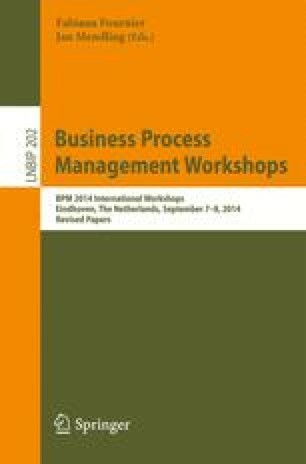 In this paper, we introduce a process discovery method that combines an organizational perspective with a probabilistic approach to address the resource allocation and improve the productivity of resource management, maximizing the likelihood of the model using the Expectation-Maximization procedure. This research was supported by Basic Science Research Program through the National Research Foundation of Korea (NRF) funded by the Ministry of Science, ICT & Future Planning (No. 2012R1A1B4003505).